GMR to Mt Baldy, GEARED! Yeah geared, although riding fixed gear up Glendora Mountain Road is fun, it also hurts, a lot. With that said, Michael and I decided to take the Colnago and Cervelo instead. We left at 6:30 am and it was a pretty leisurely ride the whole way. 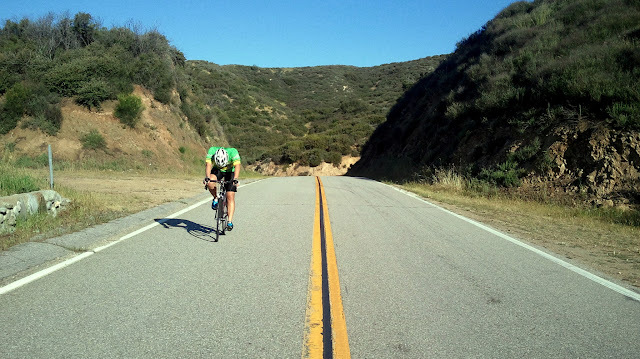 We cruised to the base of GMR and kept a comfortable pace up to the maintenance shed. 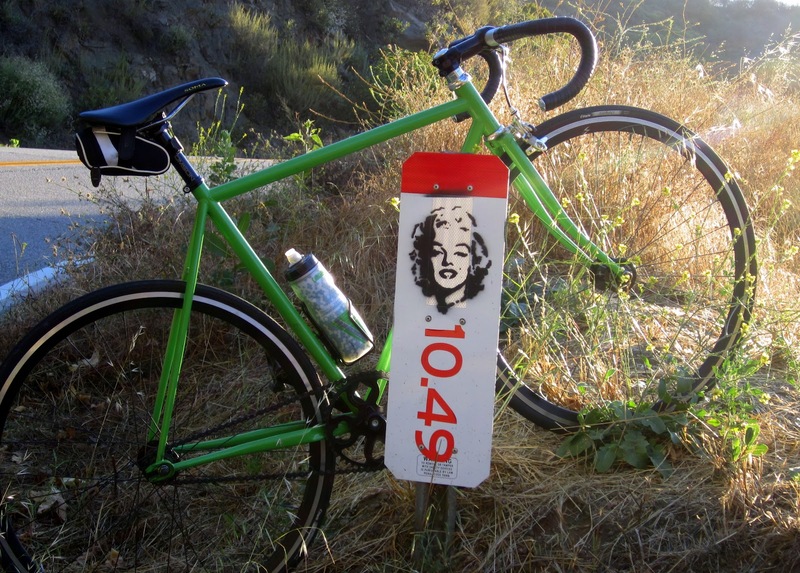 As we made our way up to the shed, I pointed out some of my favorite mile markers. MM 10.49, or Marilyn Monroe, is my first favorite. MM 10.49 has since been replaced but it used to have a painting of Marilyn on it. MM 10.49 also means the first saddle is close. Another favorite on the way to the maintenance shed is MM 8.44. Between the first saddle and Newmans is MM 8.44. After the first saddle, I try to keep my head down and hammer until I get the the short downhill before the shed. For some reason, I always look up at MM 8.44, intentional or not, my head comes up. MM 8.44 gives you a false sense of getting close to the shed, only to be mightily discouraged as you turn the bend and see more road twisting along the mountain side. Michael and I took a very short break at the shed. The ride from the shed to Mt Baldy Village wasn't bad. Somewhere after Fork plus MM 6 point something, Michael decided to chase down some other roadies and left me behind. I continued on my same pace until we regrouped at the village before heading home. Once down the mountain we toyed with the idea of a quick ride around Bonelli but I decided to conclude my ride. Adam had a soccer game at 11 am and I wanted to make sure I had plenty of time to eat and shower before hand.